What to Buy for your Amazing Bridesmaids? We absolutely love the gifts you can use for great photo opportunities on the big day. We have beautiful earrings from local designer, Sara Gabriel, as well as Everything Angelic. The jewelry can be ordered in the same style, or mix and match them for a unique look. The prices range from $80 to $160, and will create a dazzling look for your bridesmaids. Hair accessories are another unique option for bridesmaids. For example, Sara Gabriel has simple pearl and crystal hair pins, a beautiful Peacock feather hair pin, and many other pieces now come in champagne tones. 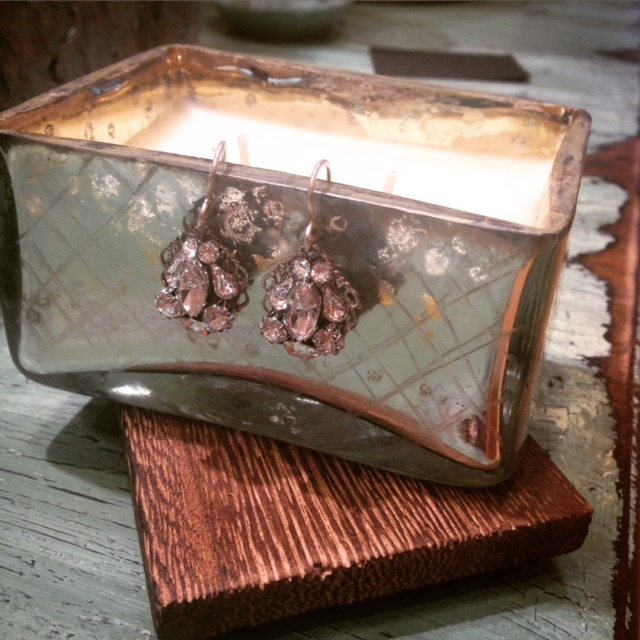 A great gift pairing would be to add one of our favorite candles to the jewelry purchase. The prices of our candles range from $18 to $38. If you decide to pair with our earrings we offer a combination discount of 10% off the order! We are here to make your search fun and easy!